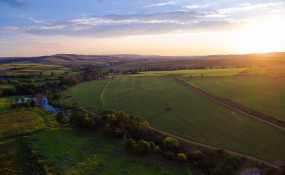 The Ad Hoc Committee - set up to amend Section 25 of the Constitution - has adopted a report on its work into a possible amendment to the Constitution in order for the State to expropriate land without compensation, in the public interest. Committee chairperson Thoko Didiza said in the report, the committee recommended to the National Assembly (NA) that the House should take note of the ad hoc committee's programme and resolved that it could not conclude its work in this term of Parliament. It further recommended that the sixth Parliament be tasked with finalising the amendment of Section 25 of the Constitution. On 6 December 2018, the NA resolved to establish an ad hoc committee in terms of Rule 253, and mandated the committee to initiate and introduce legislation amending section 25 of the Constitution. The ad hoc committee was instructed to have regard for the recommendations contained in the Joint Constitutional Review Committee report. Since its first meeting on 12 February 2019, the committee has held extensive engagements with experts on land reform and the Constitution. Among other things, it received briefings from the Parliamentary Legal Services on the legislative process and the application by Afriforum; a briefing on the summary of the report of the Joint Constitutional Review Committee on the review of section 25 of the Constitution; presentations by identified experts, and it also discussed the policy framework that will inform the drafting of a Committee Bill. Some legal experts invited by the committee were either not available or expressed concerns regarding a possible conflict of interest because they are sitting judges. The committee report acknowledged the valuable inputs from all presentations received to date. The report was adopted, with the Democratic Alliance and the African Christian Democratic Party both reserving their rights regarding the recommendation of referral to the next Parliament. Didiza said the committee report will now be sent to the NA for deliberation and adoption.